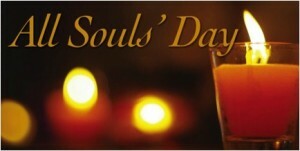 Please join us for the Solemn Requiem commemorating the faithful departed. A list is available at the back of church to which names may be added. Or email the office with the names of those you would like us to remember.